euforic services blog: Are you digitally competent? 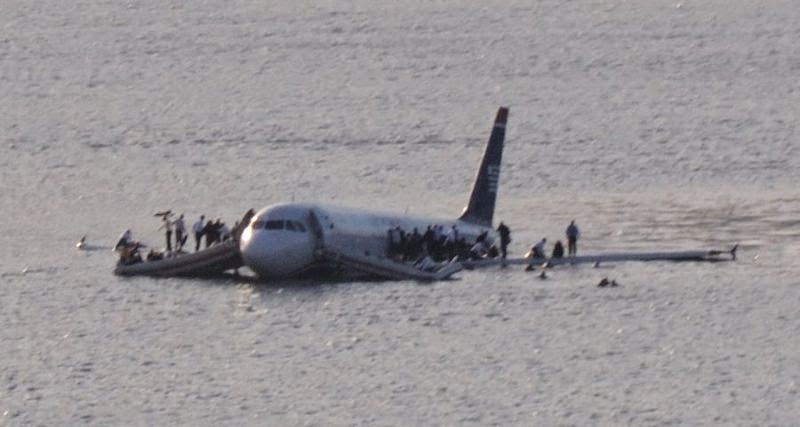 So you are on the West Manhattan cycleway on your way to work at the mission in the UN and a US airways Airbus A320-200 crash-lands, deafeningly, on the Hudson river beside you. Being a well-trained diplomat you respond coolly. You assess the situation and realise instantly that you can be of no practical help in the water - freezing - and that boats are already turning and heading towards the plane, which is beginning to settle lower in the river. This is NYC, so your first-aid training is probably going to be trumped by the well qualified professionals who are doubtless already leaving their bases. So do you join the increasing number of shocked spectators on the waterside, take out your smartphone and start filming the scene or do you get back onto your bike and head quickly to the mission so that you can contribute to the response of your national delegations in New York and Washington DC. Wait - haven't you even taken a photograph? Being digitally competent you take a good shot, tweet it it immediately, echoing your post onto the Embassy Facebook page, with a message of support and praise for the pilot and the US response (You work for an enlightened Foreign Ministry, that encourages staff to be active in social media and trusts them to do so professionally and competently - you've had training, of course). Then you head to the mission, already working before you've even taken off your Lycra. By the time you've showered you've got messages from too many colleagues and friends to deal with immediately, as well as several acknowledgements from different US agencies. Both you and your embassy are well connected on social media, having identified 'influencers' who can support your own policy positions and engaged with them regularly online. You talk it over with your colleagues and agree that part of the official response should be a quick blog from you, expressing your personal reactions - which are only now beginning to make themselves felt - as well as appreciation for those who've saved 100s of lives, and maybe making an appropriate reference to a national issue of relevance. You've blogged before, understand how to walk the fine line between personal and professional (talking to people as a person, but from within the context of your professional position), how to upload and embed your photo, make links to other relevant websites.... and so on. Which means that you will be able to make your 11 am appointment. We developed a digital competency framework as a tool for our social media training and development work and have used it in a wide variety of contexts, including with diplomats at all levels, hence the references above. The framework is grounded in the notion of behavioural competencies, used to guide, assess and evaluate holistically how people operate within their work, as introduced in a previous post. There we suggested how being digitally competent is clearly an essential component of any definition of a Capacity Development 2, the concept we have been exploring with a team of Itad staff and associates for the UN GEF. Thanks to team-member Cheryl Brown in particular, we extended our standard '5Cs' model, drawn initially from the work of Howard Rheingold on digital literacy, into a two level, 8Cs model. We identify three foundational and five core competencies. We provided more information about each of these in a Google Spreadsheet, along with examples of how they are used and links to illustration reference sites. The competencies are mapped in the table to elements of the GEF Theory of Change although of course the framework is transferable to other contexts. We're very interested in any comments and suggestions for improvements.